Updated Thursday November 10, 2016 by Saskatoon Minor Basketball. Sunday,November 20th. 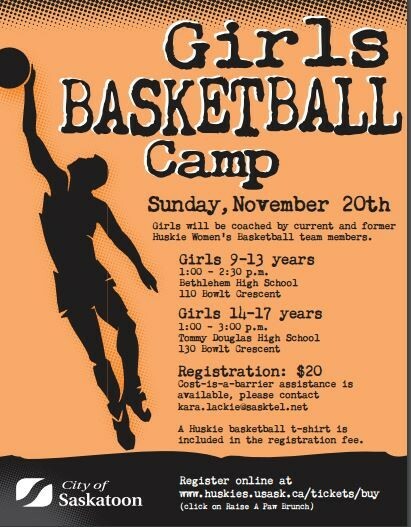 Girls will be coached by current and former Huskie Women’s Basketball team members. A Huskie basketball t-shirt is included in the registration fee.